I’m developing the Chronicles of Erun, a game based off OpenQuest but written from the ground up. 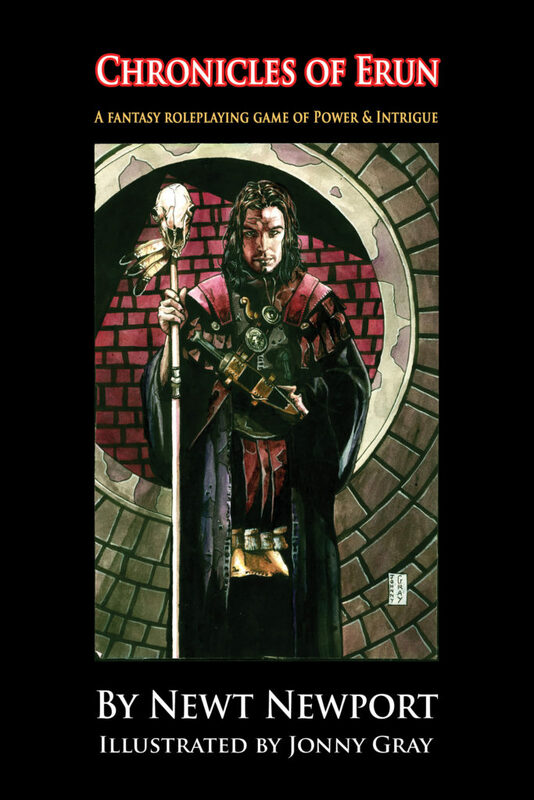 It’s early days yet, I’m hoping to get it out the first half of 2018, but I’ve started giving details out at BasicRoleplaying Central, which now has a dedicated subforum (under OpenQuest). 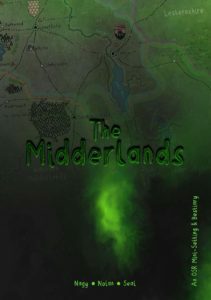 The aim with the game overall is to have a very quick playing, pick up and play system, where you can play a very focused (and fun) campaign in about 10 sessions, with breaks for real life stuff. All art will be by British Artist Jonny Gray. 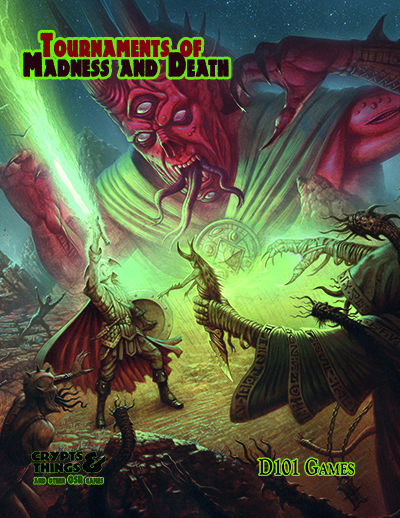 40% off the price of the pdf bringing it down to $8.40 from $14.00 for the next 24 Hours. 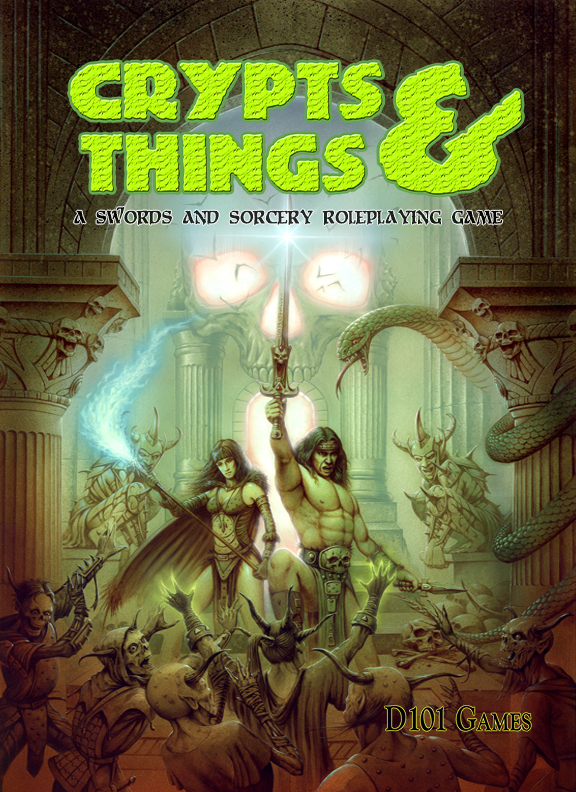 Crypts and Things (C&T) is a Swords and Sorcery Roleplaying game based on the Old School Rules of the 70s/80s. 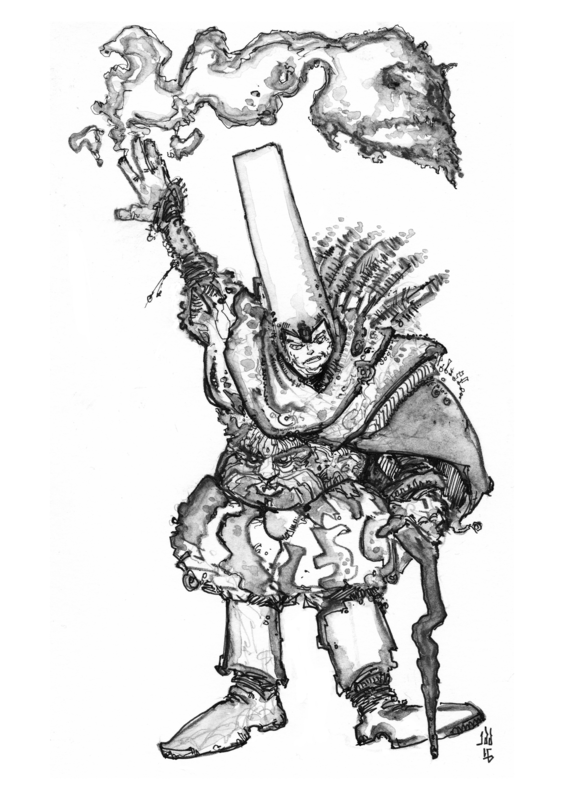 It also draws upon the British fantasy games and game-books of that period to bring a distinctly dark and dangerous feel to the game. 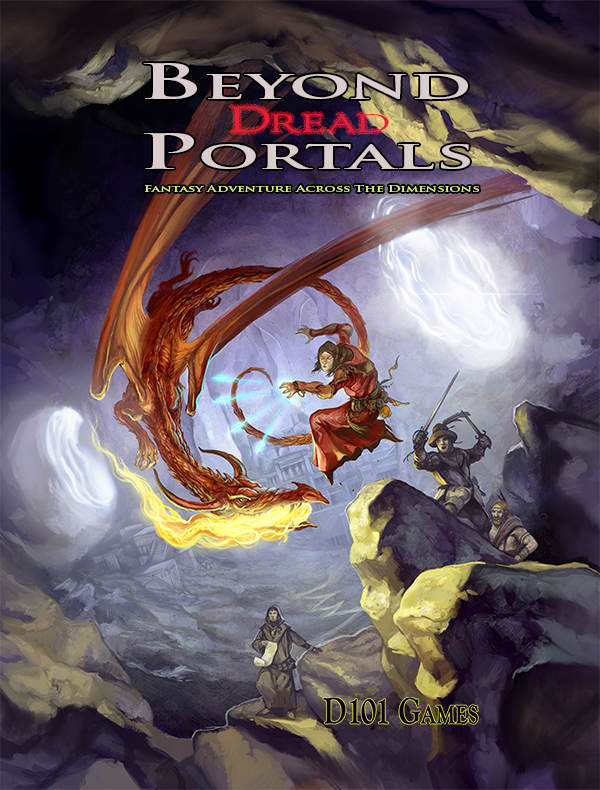 Our upcoming release of Paul Mitchener’s Dimension Hopping Fantasy Adventure game, Beyond Dread Portals, now has a cover courtesy of Jon Hodgson. So in short, I’ve got a cover for this 260-page beast, which is when things start getting real and beyond the point of no return.